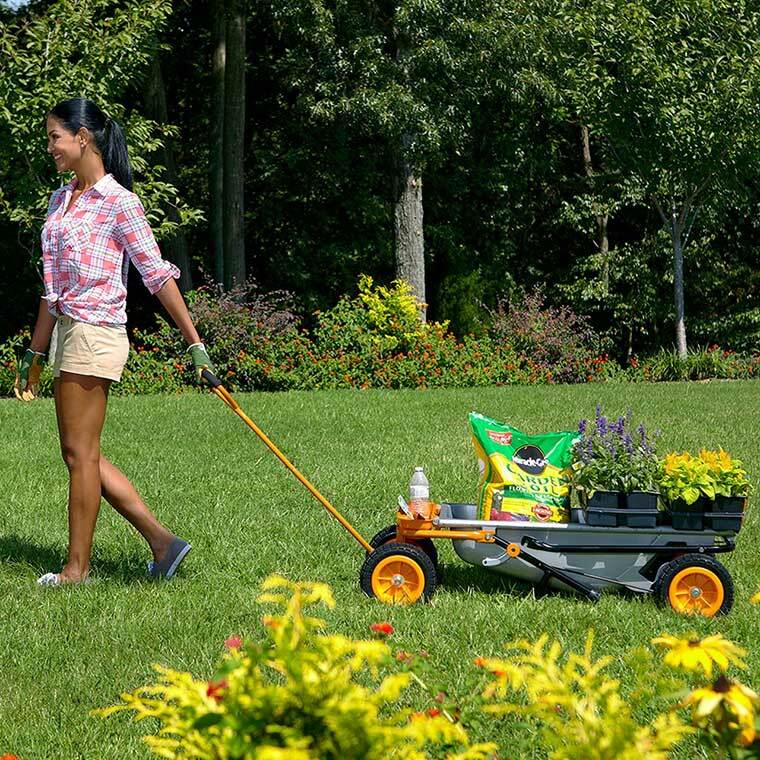 A two-wheeled wheelbarrow makes it easier to balance when going up or down hills. Another big plus is they don’t tip over as easily when the weight isn’t distributed evenly. The WORX Aerocart is a multifunction unit that can be used in countless ways. 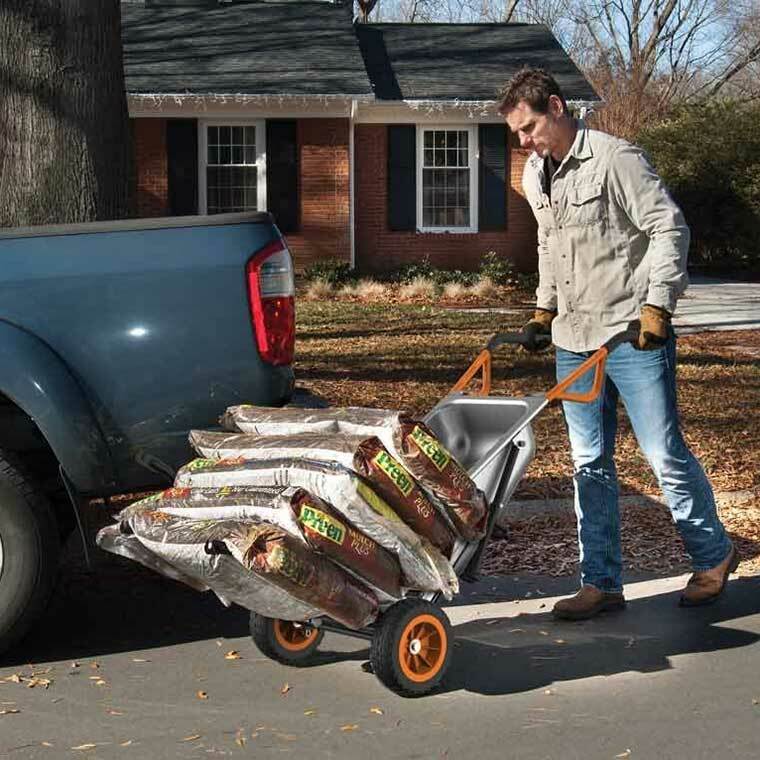 We all know how hard it can be to push a single wheel wheel barrel, especially or down hills. This 2-wheeled cart is ideal because you don’t have to worry about it tipping over and everything spilling out. It also can be used as a dolly, follower pot mover, trailer mover, or bag holder. It comes with straps and more.